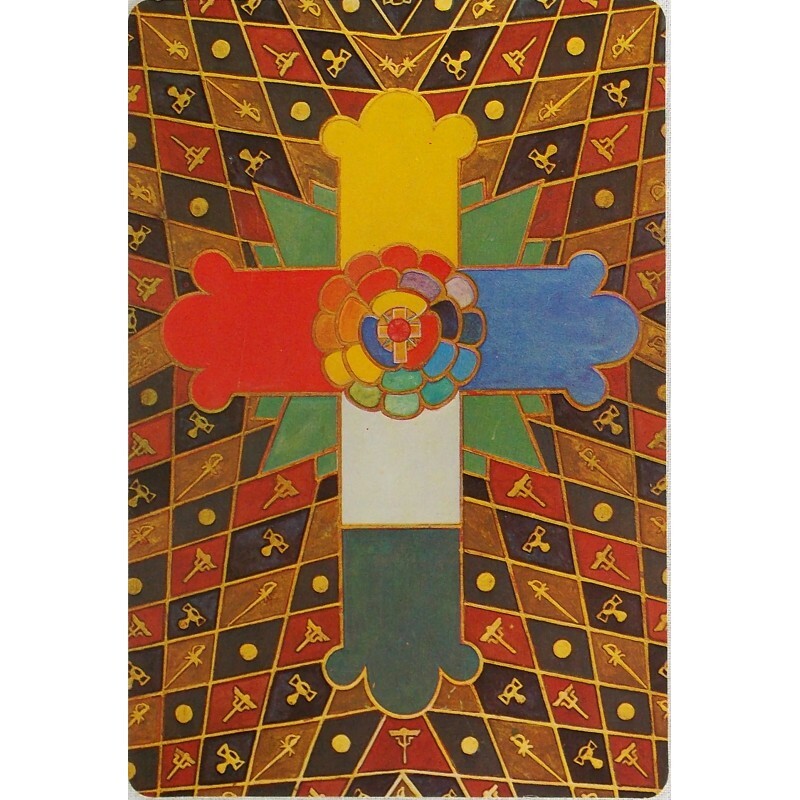 Thoth Tarot- edition 1983 - Tarot Bulgaria ltd.
Thoth Tarot deck “White Box C” edition 1983. 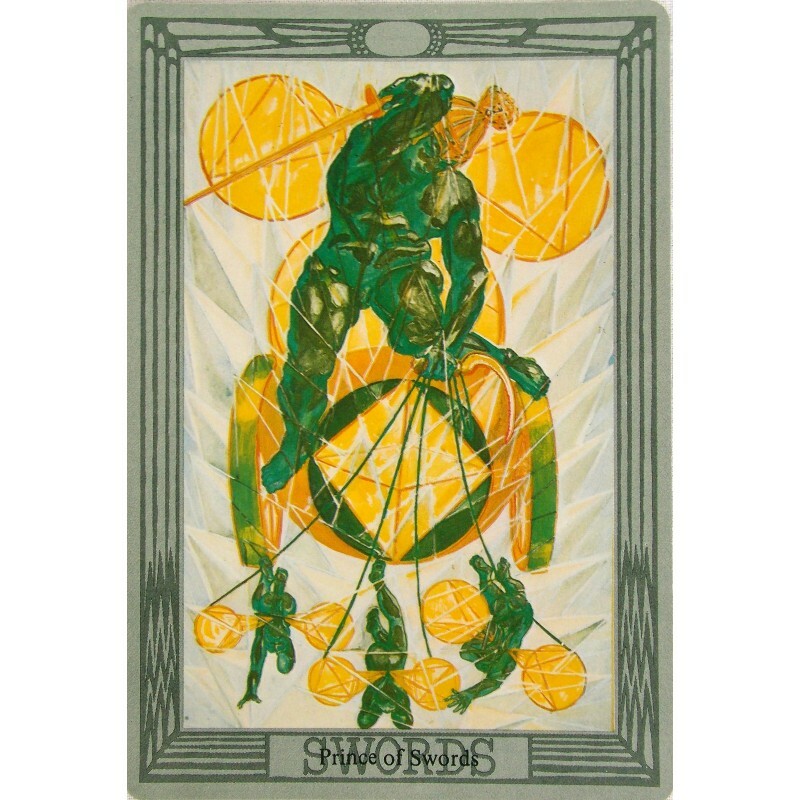 Painted by Lady Frieda Harris and designed by Aleister Crowley. This is edition known as “White Box C” Published by U.S. Games Systems, Inc. in 1983. 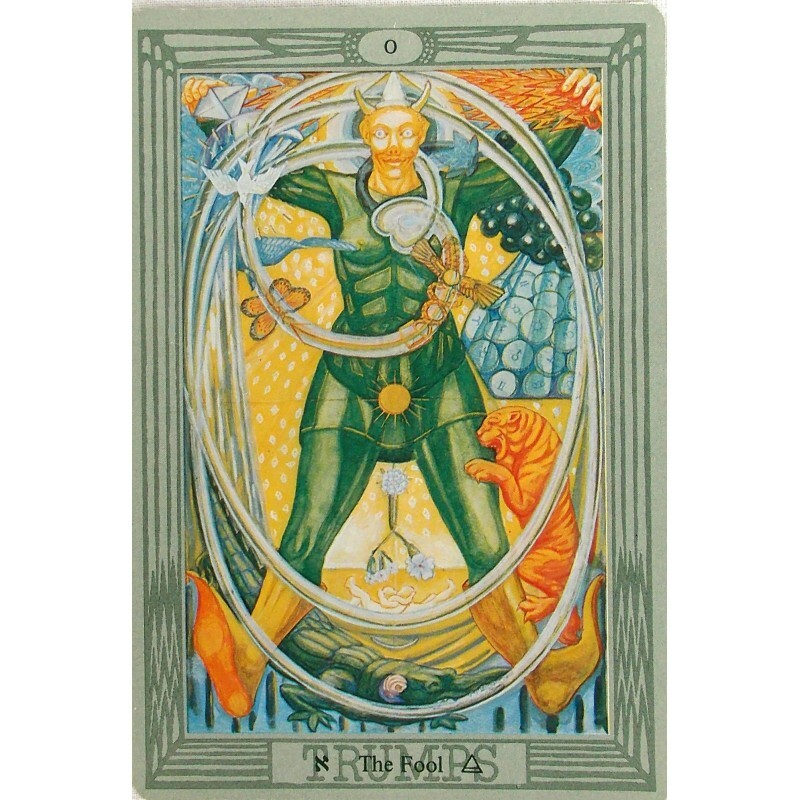 Green border with design, astrological symbols and Hebrew letters on bottom of trumps. 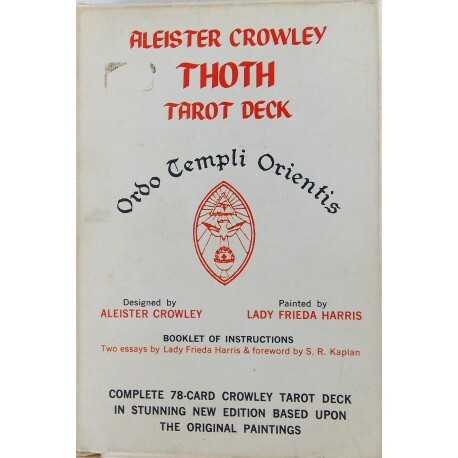 78 cards with an additional blank card as well as the hexagram and OTO cards. Cards measure 3.75" x 5.5" (9.5 cm x 14 cm). 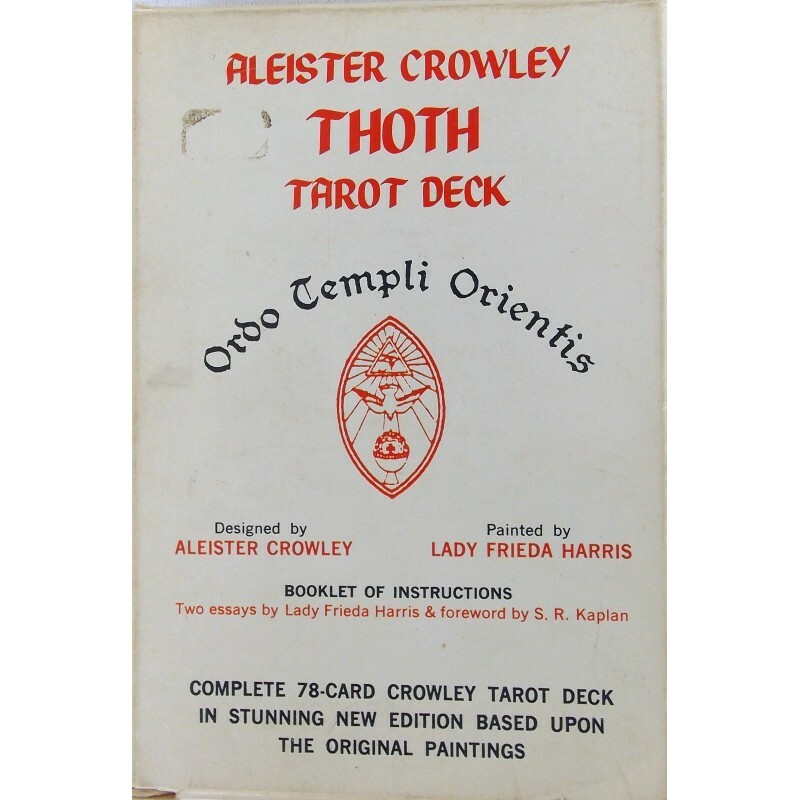 Used deck: Very Good condition. Expect minor evidence of use or imperfections, from age.